Seriously, though, you guys. The latest Lawn Fawn release has so much cute in it I think it may explode. Yup. It will explode and rainbows will fly about everywhere due to the cuteness that is the new Lawn Fawn release. No, I don't design for them, I just get really excited about unbearable CUTENESS! I was fortunate enough to win some of the goodies from this release and I just got around to playing with them! 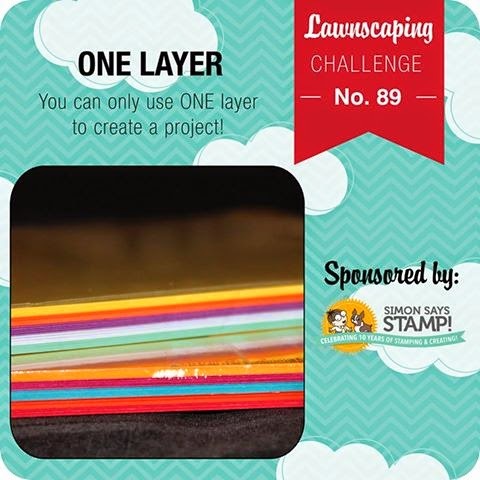 I was inspired by the Lawnscaping Challenge: One Layer Cards to do something EXTRA simple! Ummm.. BUNNIES!!!! Oh. EMM. Gee. They are so stinking adorable, I can hardly STAND IT! They worked perfectly for a simple, easy to mail card! 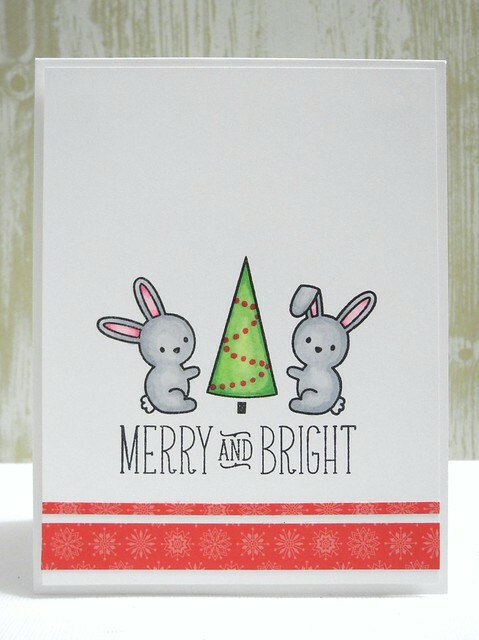 I stamped the bunnies, the tree, and the sentiment and then colored with Spectrum Noir markers. I. just. love. I added a touch of paper from the Snow Day 6x6 paper pad. I did add a tad bit of sparkle with my Wink of Stella on the little garland on the tree. Sparkle makes me happy. For reals, though. I love those bunnies, this is so cute! so cute.. i love this set..
Super cute card! And I agree, LF's latest release is just full of cuteness!! yep, they're cute--off to see the latest dose of cuteness at LF! Love the card! Ah, yes! The Lawn Fawn cuteness in inevitable, undeniable and irresistible! 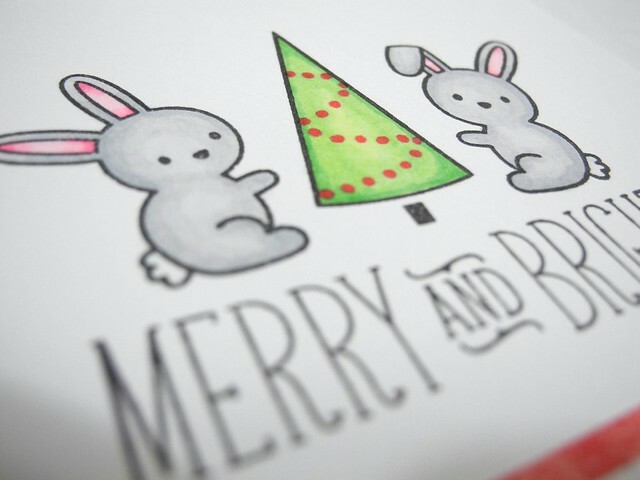 I love these bunnies and their sweet little Christmas tree! Thanks so much for sharing this adorable card today! Christmas and bunnies! What's not to love. Love your layout with the strips at the bottom Jennifer. Bunnies AND Merry & Bright!!! I'm seriously swooning. I'm a bit Merry & Bright obsessed apparently when I was looking over my holiday season stamps, but I feel I just can't have too many : D. The card is stunning. Super duper cute, Jennifer! Love this very bunnyful Christmas. LOL!